When it comes to new arrivals, Manchester United had an underwhelming transfer window this summer. Only the names of Fred and Diogo Dalot made any significant headlines for the club. While both players were remarkable youngsters to be secured for the long-term, a more packed window with a defensive leader and an offensive backup was thought to be on the cards. Regardless, Fred has had a mixed start to his career as a Red Devil, with reviews largely tending to the positive for the Brazilian, with the consensus being that increased game-time will see him flourish as a midfielder. 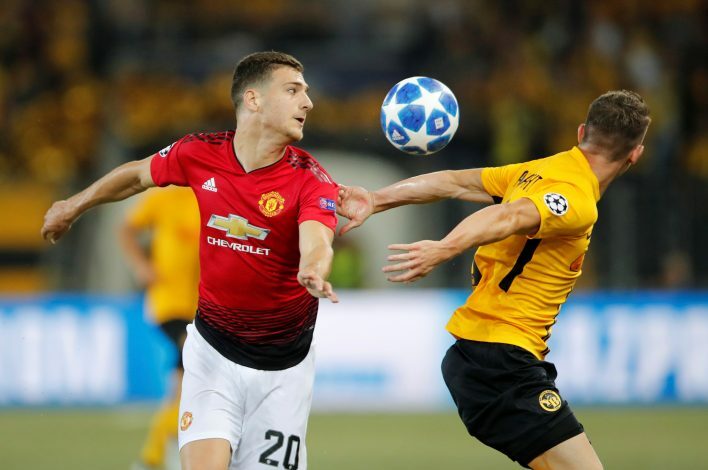 Diogo Dalot, for his part, made a relatively late start to life at the Mancunian giants, with injury ensuring that their inaugural Champions League encounter against BSC Young Boys was his first outing in a United jersey. However, as per Jose Mourinho, he won’t start during their next game against Wolverhampton Wanderers on Saturday in the Premier League. The Tuesday game is a Carabao Cup encounter against Derby County, a relatively smaller game in terms of performance and the club’s objectives. The Portuguese gaffer adds regarding his young compatriot: “I want him to play totally fresh. To play for Manchester United is difficult enough for a kid of 19-years-old coming from another country. “And after an important injury and surgery I think it’s difficult enough, he doesn’t need to face more difficult from the accumulation of matches. His contributions during the Champions League opener has been hailed as brilliant, and save for a small lack of defensive presence, the 19-year-old could certainly be a name that the club will see perform for quite a few more years.